The newly redesigned Silver AXIS® Foam Roller features a moderate density that’s unlike any other roller available. It’s the perfect blend of firm, yet comfortable, making it ideal for people of all levels. Use it in clinics, gyms, training rooms, Pilates studios and homes. 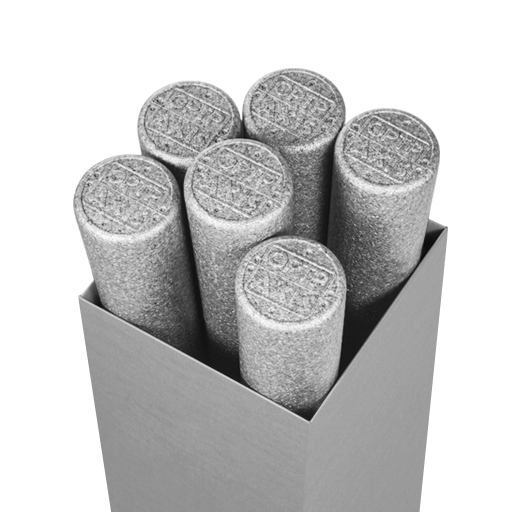 We’ve taken the original standard-density Silver AXIS foam roller and added a little more “give.” This new-to-market density makes these rollers firm enough to get deep into tissues for myofascial release to aid in workout recovery without being too intense. These 36” long x 6” diameter foam rollers are perfect for rolling out hamstrings, quads, back, IT band, calves, arms and more. Also use them for foam rolling exercises to improve balance, stability, flexibility and function. The heat-molded foam bead construction can stand up to heavy use and is easily cleaned.